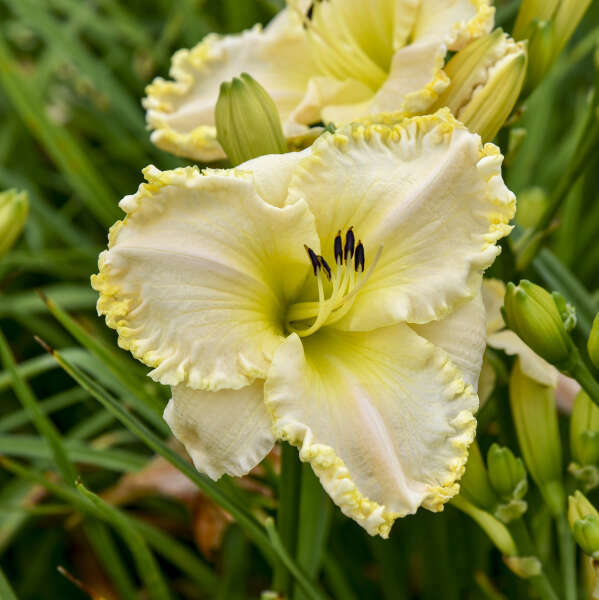 Hemerocallis 'Marque Moon' | Walters Gardens, Inc.
We’ve been building stock of this incredible daylily for nearly eight years because we are sure it will be an absolute favorite once it’s introduced! 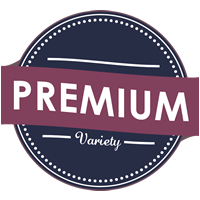 “Marque” is another word for a model by which others should follow suit. 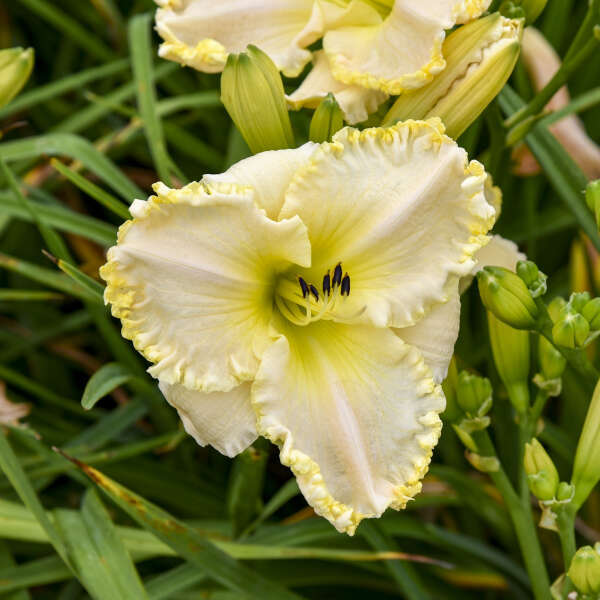 ‘Marque Moon’ sets the new standard for white daylilies as its form is greatly improved. 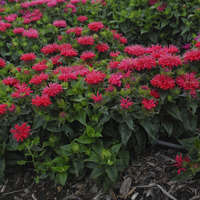 Extravagant ruffling unlike any other lends a fancy, elegant look to the blossoms. 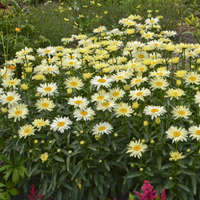 The large 5-5.5", fragrant, cream colored blossoms have a yellow throat that radiates softly out onto the petals. 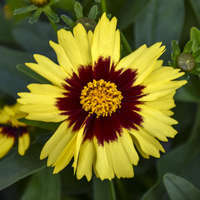 This yellow coloring is repeated on the picotee edge around each rounded petal. 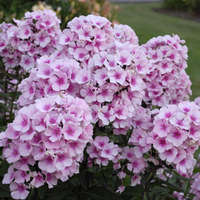 On cloudy days, you can detect a hint of peach color in the flower, and on sunny days you can see the diamond dust sparkling on the petals. 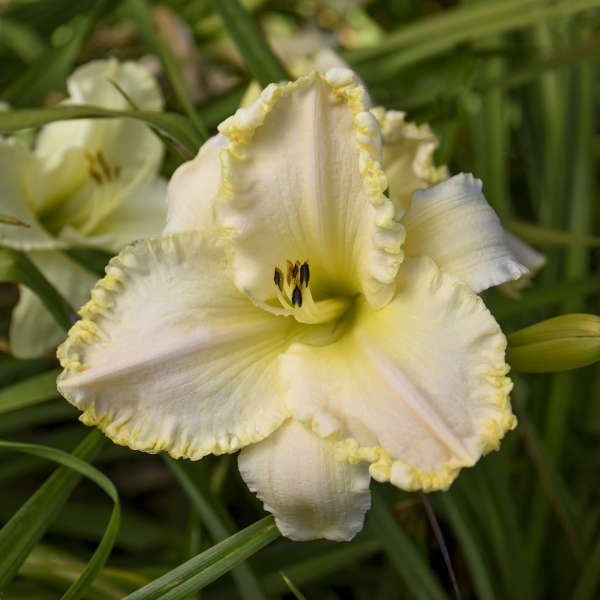 This is a heavily budded daylily that can produce an incredible 40 buds per scape. 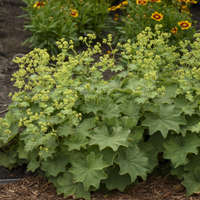 It forms a compact clump of narrow, arching foliage topped with large flowers in midsummer.